VILLAREAL are set to receive the most money ever paid for an African player, according to reports. 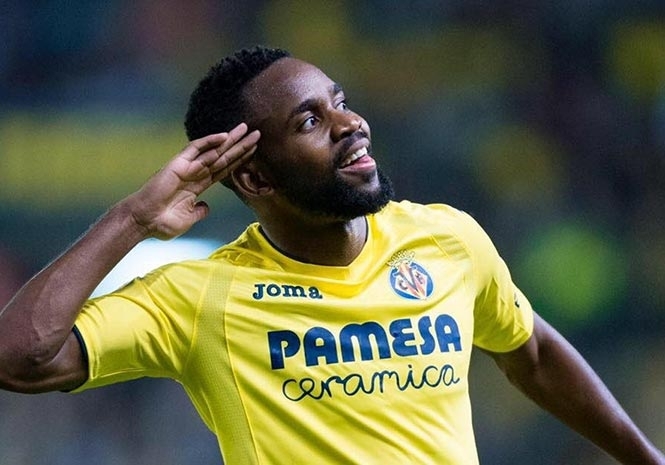 Cedric Bakambu will become the continent’s most expensive footballer in history if he signs for Chinese Super League side Beijing Guoan, in a deal worth an eye-watering €73.5 million (£65 million). Bakambu has reportedly already completed a medical. The Spanish club set a release clause of €40 million for the DR Congo striker, but the fee has risen significantly because of taxation rules. Bakambu has scored 14 goals in all competitions for the Spanish side and won La Liga player of the month in October. He is currently La Liga’s seventh top goal scorer. The 26-year-old has previously played for Bursaspor and Sochaux. He played for France at youth level but switched to the Congo as a full international, and has a strike rate of nearly one in every two games. The deal eclipses the €54.5 million (currently £48 million), for Guinean midfielder Naby Keita, who will join Liverpool from RP Leipzig in July 2018. Liverpool also bought African stars Mo Salah and Sadio Mane for big money. The previous Chinese record transfer was €68million (currently £60 million), which Shanghai SIPG paid Chelsea for Brazil midfielder Oscar.